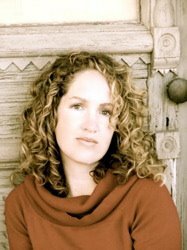 Heidi Kling, author of Sea (debuts June 10, 2010) has deemed this week Author Appreciation Week. Show your favorite authors how much you appreciate them by blogging about it or hashing out on twitter (#AAW). And a special thanks to Sara from Novel Novice for creating the awesome banner. I wanted to start by shouting out to the authors I've had the pleasure of meeting. First up, Becca Fitzpatrick (author of Hush, Hush). Not only is she a talented writer, she's also a sweetheart. Hush, Hush is one of those books that grips you from the beginning to the end. When Becca came to Houston, she read a portion of Hush, Hush (science class scene), answered questions about the book, shared her experience of her road to publication and stayed late to take pictures and sign copies of Hush,Hush. So, thank you Becca for being awesome! Melissa is the author of the Wicked Lovely series (Wicked Lovely, Ink Exchange, Fragile Eternity) and her next book, the fourth in the series (Radiant Shadows), releases April 20th. I had the pleasure of reading Radiant Shadows and let me tell you, it's made of win! Melissa came to Houston for the Montgomery Teen Book Festival and was absolutely amazing. During the breakout sessions, she answered questions about her series and even answered/taught an english lesson on compound complex sentences. I guess you can never take the teaching out of a teacher! After the session ended, I told her how I was Lena from The Rath and was shocked when she hugged me. Even though the people running the festival were telling Melissa to start her 2nd session, she still went ahead, signed books and took pictures with her fans all while talking about Radiant Shadows. She even shared a story of how her daughter took her cup of tea away and asked her to change a scene from Radiant Shadows. Which one? I guess you'll have to read it and ask her yourself. 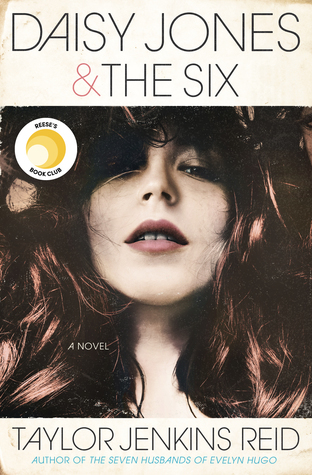 Sara Zarr is the author of Story of a Girl, Sweethearts, and Once Was Lost. She's funny and incredible. I'm sad I didn't get to go to one of her breakout sessions during the festival, but I did get to meet with her later where she signed my books and took pictures. I've read and reviewed Sweethearts. It's amazing and sad. I love those kind of books, but you definitely need a pick me up afterward. I have yet to read Once Was Lost, but it's on my list! Tell me one person who does not know who Cassandra Clare is. She's the author of the Mortal Instruments series (City of Bones, City of Ashes, City of Glass). Her next novel, City of Fallen Angels, releases March 11, 2011. I think. That's what Goodreads says. Anywho, you'd think an author this huge would let it get to her head, but she doesn't. During the breakout sessions as the festival, she read a portion of a story she wrote in her teen years (The Beautiful Cassandra). The crowd almost died laughing. She encourages young writers to shoot for the stars and even though she had to catch a flight at 4:30, she stayed as long as possible to sign autographs. That wraps it up for today. I'm going to try to do this once a day for the rest of the week, so stay tuned. Same bat time, same bat channel.